I just did my first oil change on my new-old Honda Fit. 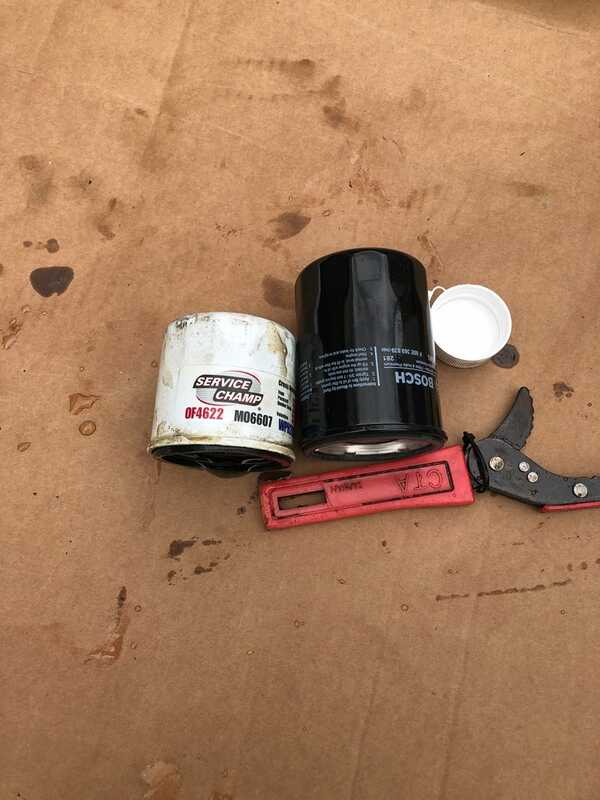 Above is the old oil filter on the left, the new oil filter on the right. This is why I do my own changes. The garbage oil filter and garbage oil they used for my “free oil change” with the car purchase is worth less than $0 to me. I only drove about 1000km with this oil and filter and the oil was already surprisingly dark. Normally I would have done an oil change immediately.... but lack of free time and the weather wasn’t cooperative until today. Edit: Forgot to mention that my engine would make ticking sounds under load at higher RPM and when cold. That has stopped with the new oil and filter.